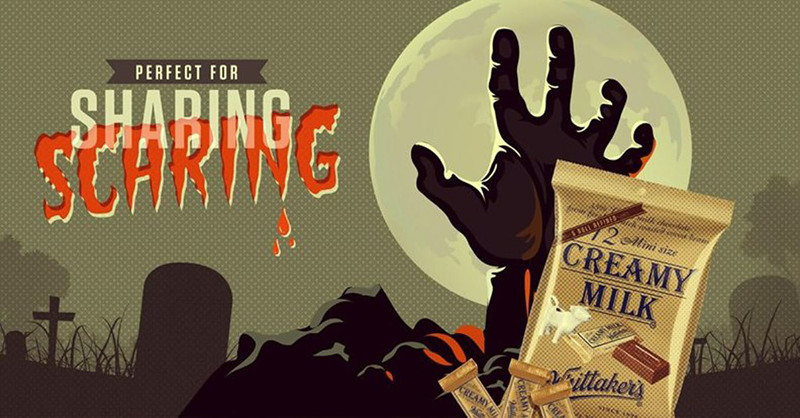 A Whittaker’s chocolate campaign advert for Halloween 2013. I’ll just say I don’t share my Whittaker’s. That’s when I can get it. There’s not a ghost of a chance you’d get any and you’d have a ghoul to even ask (sorry). So I’m back (in black) momentarily, but I swear this will be my last post until Yuletide. I ain’t hangin’ around like a proverbial ghost in a graveyard. And this is only because I got a few comments and messages along the lines of “yippee, you’ve finally returned!’ , so I made a vague rumbling about a Halloween post I’d been considering. Who knows when I may get the chance again. “Which one?” I quipped. “I don’t multi-task, I’m a male.” She looked a little aghast as she totted up my purchases. “That’s 6.73”, she said, trying to bring things back in order. “Can I have a seven cent discount, in that case?” I suggested. Think about it. Anyway, people like to say that in Australasia we don’t celebrate All Hallows’ Eve. Tosh, I say. In fact there’s a big party going on down the street right now. And by ‘big party’ I mean, a large speaker set up on someone’s balcony, blaring schlocky horror movie-style soundtrack music with evil Vincent Price cackles dubbed over it, kids in witches hats and onesies eating their bodyweight in sugar off a communal trestle table – while adults stand around with their arms folded, rolling their eyes as they hold lukewarm beers, droning about who is responsible for school pick-ups the coming week, mortgage repayment difficulties, taking care of grass lawns in summer, and other dull stuff that isn’t part of my life -thankfully. But definitely when I was a kid, October 31st or the nearest day was another convenient excuse for dress ups; and school would have us come in costume. I remember one year we were ordered to ‘frighten’ the other classes but I flatly refused. “Why not?” demanded the teacher. “Because I’m funny, not scary” I stated quite seriously. Even though I was dressed as a clown, of which the outfit I had padded with pillows to make myself look ‘fat.’ Well, I had my own way of doing things, even back then. So it wasn’t as big a deal as Guy Fawkes night, but we still did pumpkins, candy, and scary movies. That’s about it – enjoy some spooky snacks, creepy adverts and ghoulish games below. 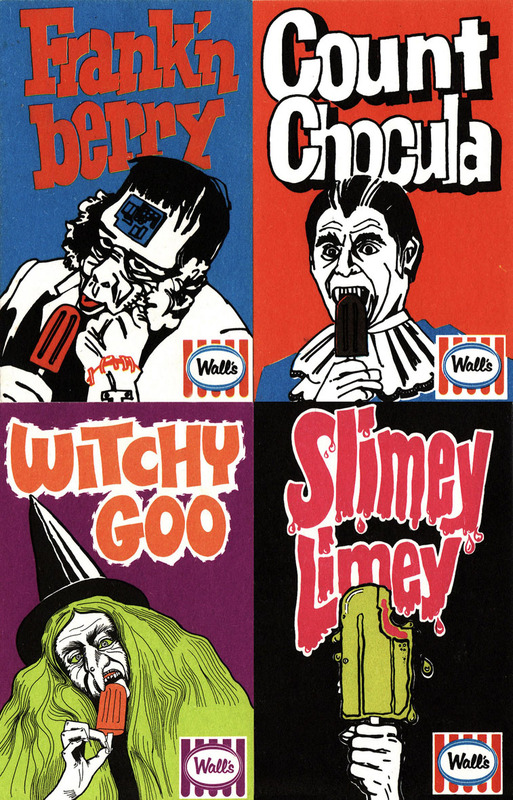 ‘Monster Mix’ confectionery stickers, possibly by Allens & Regina (A&R) gum. They date from the 1970s but I don’t know any more regarding what kind of product it was, who the designer was (very cool work though), and whether Regina even produced them for sure. Image courtesy of Steve Williams collection. 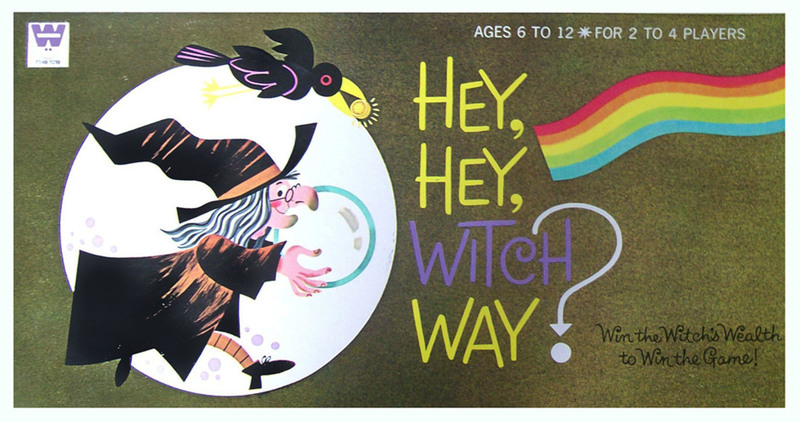 ‘Hey, Hey Witch Way?’ was first produced in 1969 by Whitman (not sure who was responsible domestically, John Sands I think). We actually owned this in the late 1970s; it was a cast off from some family friends in a huge pile of no longer wanted board games. As far as I recall, it wasn’t very exciting playing (especially in comparison to the ‘Haunted House’ game, on the market at the same time, further down this post) so didn’t get much of a work out. ‘Horror Bags’ were corn and potato snacks by Smiths; ‘Fangs’ were cheese and onion flavour; ‘Bones’ were salt and vinegar. I’m not sure how many different versions there were in this line, or even what decade they were being produced; the 1990s I suspect. I certainly don’t recall them. Student from Waiwhetu Girls College, Lower Hutt, painting a witch’s face on an actor for a school play, 1959. Alexander Turnbull Library collection, ref EP/1959/3810-1-F. I loved this show ‘A Haunting We Will Go‘, which ran on the TVNZ channel in 1979. Like every other kid my age the ‘vampire’ was my favourite character; Count Homogenized, played brilliantly by Russell Smith. Does anyone remember anything else about it except this iconic character? Not really. He was a neurotic, flapping, wheedling, snarky member of the damned who lived only on bottles of milk he stole from others. He was like Mr. Humphries (I don’t think there was much doubt the Count was a flamer) and the Milky Bar kid rolled into one, and topped off with a bad wig. You can see episodes here. Punch to make you palpitate by Ballin Brothers. Who knows what’s in this particular brew? 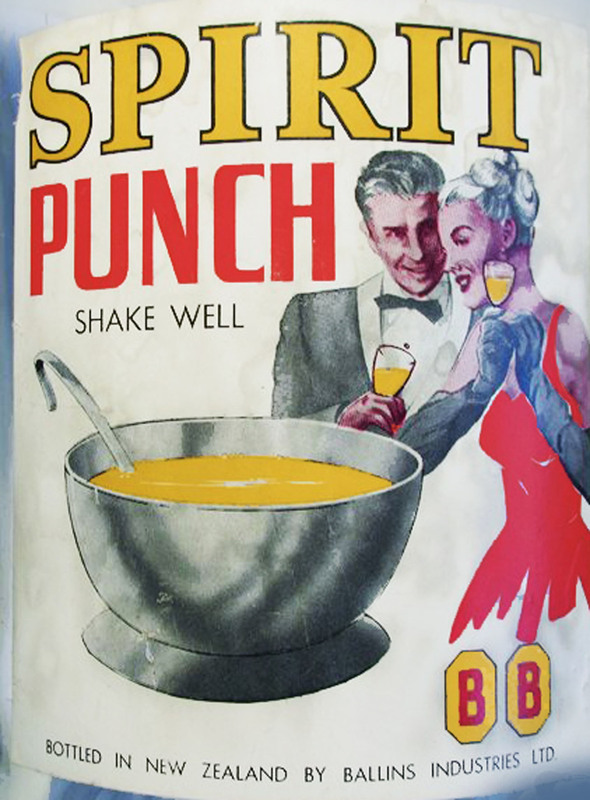 These premixed cocktail drinks – the ‘Merry Widow’ brand was another one – were quite popular in the mid Twentieth Century. This flagon with its intact label probably dates from the 1950s. I previously wrote about the brand here. ‘Witch’s oil’ and ointment, manufactured by S.J. Evans in the 1900s and 1910s. It had disappeared by the 1920s. I assume it was a liniment for all kinds of aches and pains besides rheumatism. ‘Red Kriss’ ointment was formerly known as ‘Red Cross’ and likely changed in the early days of WWI conflict due to the connotation. It was made by Peter Dutton from 1892 onwards. Items from the Russell Knowles collection, author of photo unknown. Cadbury ‘Monster Bar’ wrapper, dating from the 1970s. There were at least four other different designs in the series – a gorilla, dragon, T Rex, and a snowman (not sure how threatening the latter is, really). Image courtesy Steven Summers collection. The ‘Weirdos’ line by Wall’s ice cream was launched around 1978 under the auspices of the Rangitaiki Plains Dairy Co (RPD). There was a series of posters and these nicely done promotional cards for at least five flavours which are now highly collectable. Image courtesy of Steve Williams collection. Just in time for Halloween, this image turned up yesterday, seemingly featuring a headless horse. Nobody seems to think this is a problem at the time – go figure. They were made of much stiffer stuff back then. A water-powered gold mining stamper on Penny Weight Creek, Collingwood Taitapu Gold Estate, by my relatives the Tyrees (they were my great-aunt Irene Teward née Norman’s uncles). Stampers apparently pulverized the quartz and mixed it with water into a paste – and the gold was extracted using mercury. 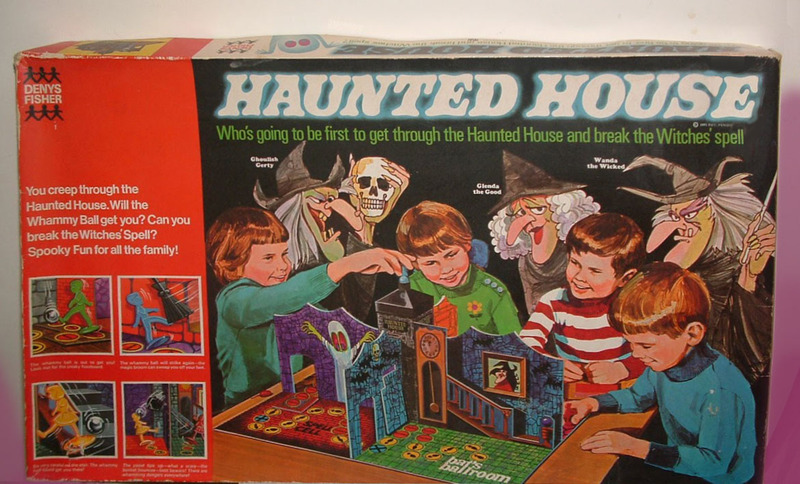 The ‘Haunted House’ board game, a three dimensional building with different rooms, was also known as ‘Which Witch’ and ‘Ghost Castle.’ I think it was made by Milton Bradley and first issued 1970. Just to confuse issues there was another board game at the time named ‘Haunted House’ as well as ‘Hey, Hey Witch Way?’ which I feature here. You don’t see these around too much at all now, so probably highly collectable. 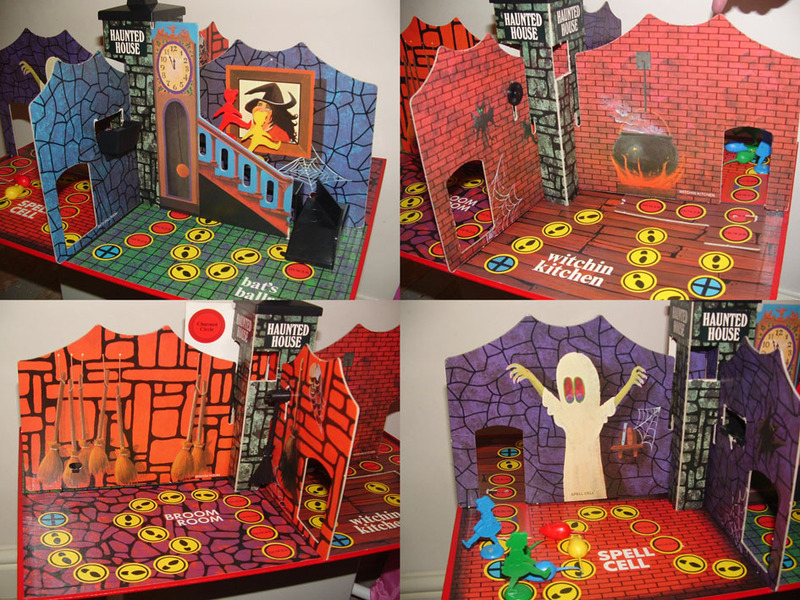 Some more shots of the ‘Haunted House’ board game set-up with different ‘rooms.’ Back in the 1970s this was a real prize and if you owned it you were very lucky indeed. As far as I remember, yet another toy or game I was not allowed to have along with ‘Slime’ and ‘Mr. Potato Head.’ There’s some footage of it here. 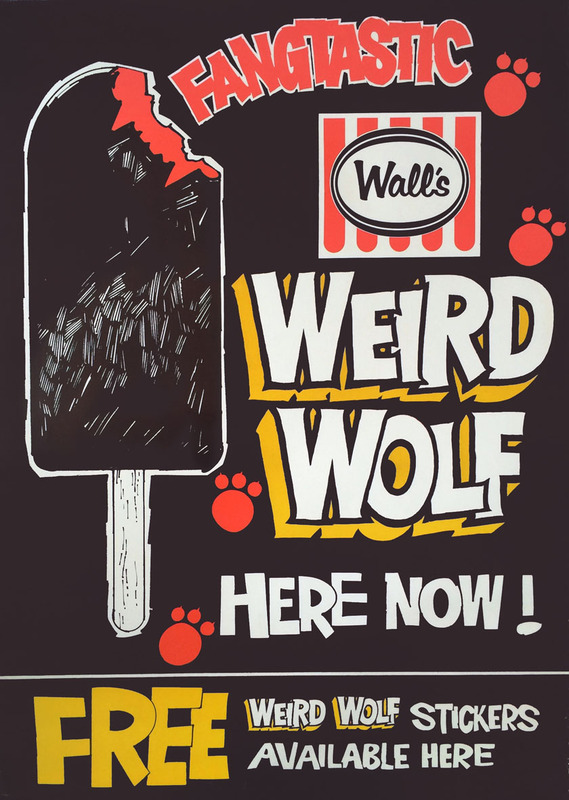 Poster from the ‘Weirdos’ line by Wall’s ice cream, circa 1978 under the auspices of the Rangitaiki Plains Dairy Co (RPD). There was a series of posters for at least five flavours which are now highly collectable. Rangitaiki Plains Dairy Co also had the ‘Fiesta’, ‘La Grande’ and ‘Creemee’ brands. Image courtesy of Stephen Summers collection. Stickers by Sweetacres for their ‘Jaybees’ line of jellybeans, 1970s. Now I do remember this monster character and the TV adverts. Not sure if they’re still on the market today, but I suspect they may be. Image courtesy of Steve Williams collection. Tim Burton called, and he wants his ghoul back. I am pretty sure that the Hallensteins didn’t intend to be so totally creepy at the time. Or any other time. But them’s the breaks when you have a crappy printer. This advert from the Nelson Evening Mail, 3rd of August, 1889. 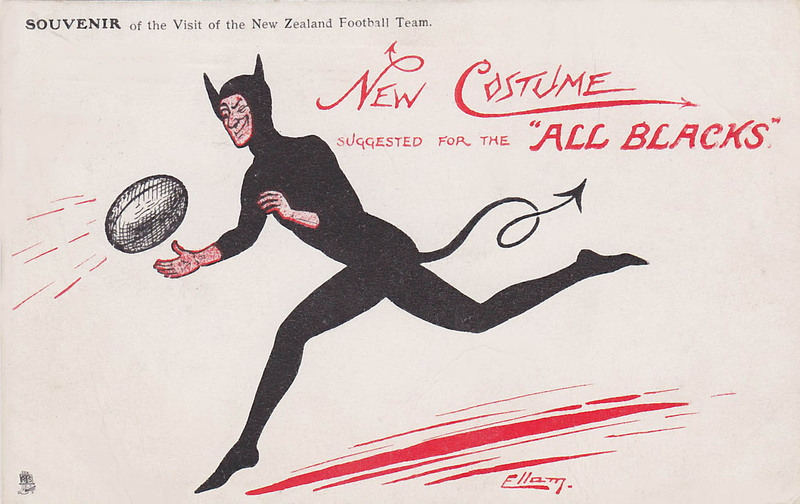 Image courtesy of the National Library of New Zealand. 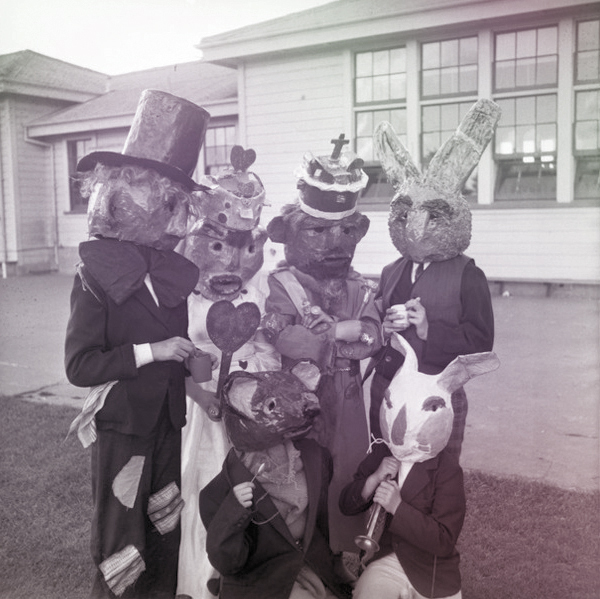 Not at all sinister, or anything: Pupils from Wilford School, Petone, Upper Hutt, in costumes for a play, 1957. Image courtesy of the Alexander Turnbull Library collection, ref EP/1957/4894-F.